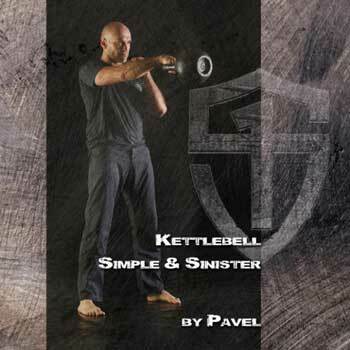 Discussion in 'Kettlebell' started by conor78, Nov 8, 2018. With running I feel it during the effort, with kettlebells it is afterwards. I get basically the same “high” from all forms of exercise. There are a couple of variations. Things that focus on internal energy using breathing like yoga or qigong feel different to me. Sometimes swimming can get close due to the controlled breathing and relaxation from floating and being smooth. Or not, if I tense my neck too much. A different flavor is outdoor sports that mix in some speed and flow, like surfing, skiing or MTB. conor78 and offwidth like this. What sort of Qigong are you using?? Currently I’m not, so shame on me. What I have done most often is the Eight Brocades, a version of which I learned as a kid. A good resource for that is Dr. Yang, Jwing Ming, who I learned about from my Tai Chi teacher. Another super simple set is The Healer Within by Roger Jahnke. What I want to learn is the 18 Lohan Hands, which adds movements to the brocades, and has that Shaolin magic, which is important if like me you grew up watching Kung Fu. I think qigong has the potential to get bigger than yoga. As the general population ages, the accessibility and benefits of qigong are hard to beat. I’ll let @offwidth finish it. I also do eight pieces of brocade, along with some bits from 'muscle tendon change classic', and some Lohan patting. This and Tai-Chi keeps me very fluid in both my movement and my thinking. conor78 and JCavin like this. What’s a good resource for some basic tai chi stuff? Not looking to be a real strickler about it, but some yin to go with the yang would be nice. +1. I feel very good and energetic after my practice. LOTS of patience! Totally agree about finding skilled teacher but in the end, you are to a large extent teaching yourself, building internal awareness, finding what feels "right" and really, bio-mechanically correct. Unfortunately, in my experience, there are a lot more poor quality teachers than good ones. People take a weekend or couple weeks, practice a few months, then start teaching. It takes years of dedicated practice to get even close to a level of competent teaching. I've used videos as 2nd best since a lot of how teachers work is "monkey see monkey do." This one is a classic. You can watch it in bits and imitate. Then go back and watch that bit again and make corrections--I started with this form as freshman in college in 1968 and have come back to it every time I've learned another. Once you learn it with reasonable confidence, try teaching yourself to do it in mirror image i.e. "left handed". When I was in acupuncture school, all I did for exercise for many months was this form, twice in each direction. We did a step test/recovery for aerobic conditioning and I beat everyone by a long ways except for one guy who was a bicycle courier and was an aerobic machine with legs like a bullfrog. offwidth and conor78 like this. Tai chi is difficult. As an advanced student in my class said, “Too many moving parts!” Qigong is not difficult, or shouldn’t be, especially at the start. It’s mostly about breathing, focus, and intent. As they say, the yi leads the qi. The external movements aren’t nearly so important. While a teacher is best, something like the Eight Brocades could be learned on one’s own I think. My all time favorite Tai chi and kung fu teacher, when he first was learning from an elderly Chinese man in back ally school in Chicago, partnered up with a couple other students. Each one had a "part" they would focus on. After class they'd get together and reassemble the whole. One focused on arm movements, another on legs and foot placement, the 3rd on overall positions and form. I agree Qigong easier to learn. There is overlap but they each have their own benefits to contribute. Tai chi is awesome. I just wish I could have stayed in class long enough to actually learn the short form so I could practice on my own. Qigong has great potential because it is so accessible to everyone. A set can be designed to fit anybody’s needs and interests. Tai chi is like Ashtanga vinyasa yoga, it’s a real undertaking. Tai chi is awesome. I just wish I could have stayed in class long enough to actually learn the short form so I could practice on my own. I think if you have good kinesthetic awareness, and I would bet that you do, you can learn it quite well from the video I linked above. Especially true if you've already learned part of it in a class. You might not ever win any prizes in China at a Wushu competition, but you will gain 99% of the benefits. I have not practiced in a long time but it is my fall back for when I really hit the final slide into geezerdom.